Choose your board and then grab a piece of Ligurian beeswax to apply to the base of the boards to make you slide better down the dunes. 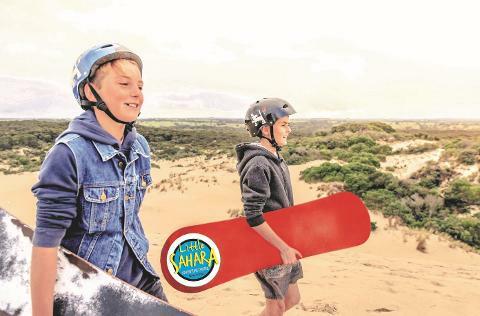 Our experienced team will give you a few hints and tips for keeping you safe and getting the most out of your day out on the dunes. Have fun and look cool! Little Sahara is a system of naturally occurring coastal blow out dunes. Although coastal blow out dunes are normally closer to the coast, there are similar dune systems between the Coorong and the open ocean. 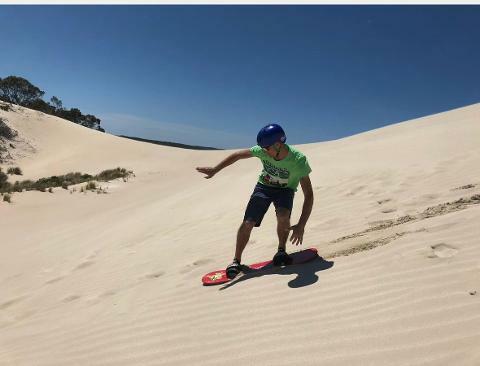 Another area of active coastal blow out dunes is the Henty dunes between Strahan and Zeehan on the west cost of Tasmania. Formed relatively recently (in the last 7000 years), the coastal dunes that formed as sand dunes have been stabilized with vegetation. Probably as a result of storms or erosion after a major fire, some of the vegetation has been destroyed allowing the sand to start moving as it is driven by the wind. The sand continues to move in the direction of the prevailing wind until such time as the dune becomes revegetated. The sand dune system at Little Sahara covers approximately two square kilometers on the south coast of Kangaroo Island. The dunes vary in size, the highest dune being approximately 70 meters above sea level. Little Sahara was heritage listed in the 1970’s to ensure it’s preservation for future generations. The property is privately owned, and it’s through the generosity of the owner that tourist are permitted to visit the site. 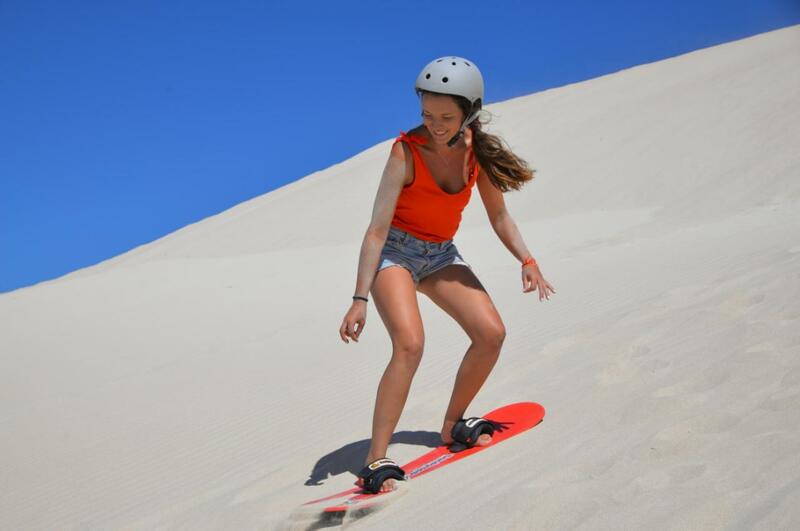 When visiting this iconic site, take only photographs, and leave only footprints (and sandboard tracks).